Speaking in tongues is perhaps the most under-rated and under-desired Spiritual Gift. This book explains why it should be the primary first gift and the difference in public and private tongues. 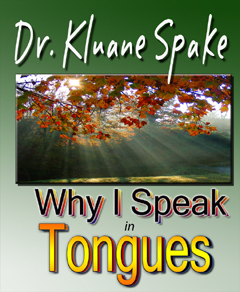 How to speak in tongues, Why, and When. The prayer language of tongues is God's PRAYER THROUGH YOU AND FOR YOU. Speaking in tongues is a REVELATORY GIFT that supersedes your logical mind and OPENS SPIRITUAL CHANNELS OF REVELATION. This book will challenge what you think you know about tongues for private use, and will inspire you to further use this amazing Gift. It also details how Tongues has not ceased throughout history since Pentecost.